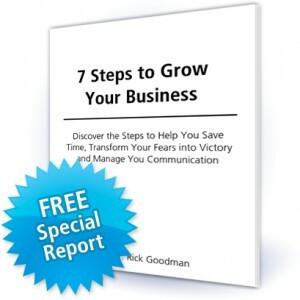 Sign-up to receive Dr. Rick Goodman’s complimentary newsletter with leadership, success and customer service tips and techniques. When you sign-up for the newsletter, you’ll get a FREE bonus gift—Dr. Rick’s Special Report, valued at $47!